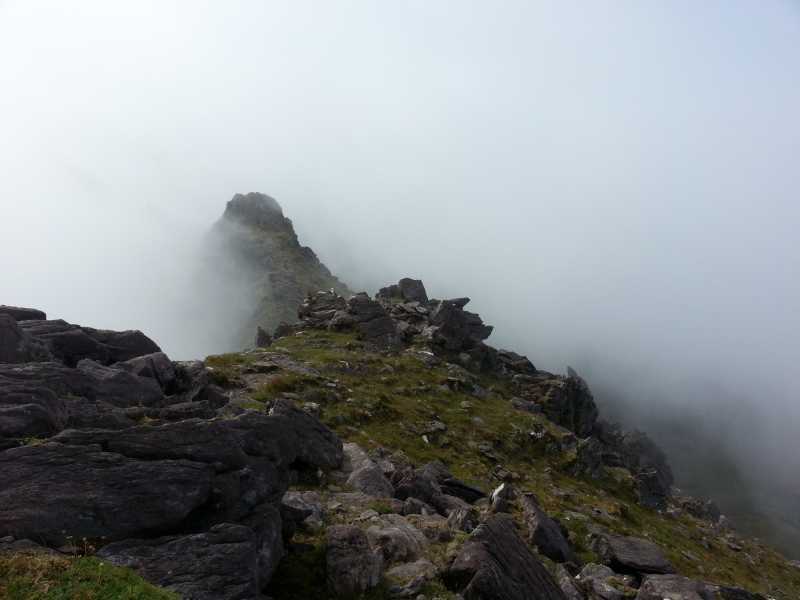 This section of the Beenkeragh Ridge is even spectacular when shrouded in swirling mist. It is debatable whether it is easier to traverse this area in clear or misty conditions. When clear, you have a splendid view of the possible destination of a tumble into the glen. When misty, you are shielded from the sheer drop on either side, but conditions can make the going underfoot tricky.